How do electronic cigarettes (e-cigarettes) work? There are five main components to smokeless cigarettes and these are what makes them work. There is the cartridge or mouthpiece, the battery, which is used to house the circuitry, the heating element or atomizer, the container and the LED (light emitting diode). All of these combine to give smokers the pleasure of lighting up and enjoying the smoking sensation. As the user inhales on the smokeless cigarette, he or she causes airflow to be created and this activates the heating element. When the heating element is activated, a nicotine solution is vaporized. The nicotine solution is stored in the mouthpiece and this is how the user gets to consume the nicotine. The LED is what gives the impression of the smokeless cigarette glowing on the end. Not all of them contain the LED, as it is not critical to the functionality of the smokeless cigarette. Manufacturers have done their best to make the smokeless cigarette look as authentic as possible. The mouthpiece has an absorbent material that is made moist by the flavored liquid solution. Another name for the mouthpiece is the cartridge. It is often refilled or replaced with the flavored substance. The heating element or atomizer causes the liquid to vaporize and then smoker can then inhale the vaporized liquid. Most smokeless cigarettes have a lithium-ion battery that is rechargeable and this is how the heating element becomes hot. The battery life is dependent on a variety of factors such as the operating environment, how often it is used and the size and type of the battery. The kit comes with a battery charger and is compatible with USB ports, car attachments, and wall outlets. Some of the electronic circuits have a mechanism that cuts off so that overheating is prevented. It is also necessary to have an LED device for this purpose. The manufacturers have thought of everything when designing the smokeless cigarettes. Smokers are able to choose from a variety of flavors when selecting the liquid nicotine solution. Nicotine strength varies and smokers can choose the strength that they require. Some of the solutions do not even contain nicotine while some are quite strong. While some of the flavors are designed to be similar to conventional cigarette flavors, many smokeless flavor options include sweet flavors such as caramel, orange, mint, vanilla and strawberry flavor. Are electronic cigarettes (e-cigarettes) bad for you? With almost everything in this day and age going digital, it’s not a surprise why smokers these days are looking for a more modern touch to take the habit to a whole new higher level. Enter smokeless cigarettes. Besides continuing to receive high acclaims and reviews from aficionados who have smoked the conventional cigarette for numerous years, these innovative inventions are gaining more and more followers each and every day. For the uninitiated, smokeless cigarettes are battery-powered devices that provide inhaled doses of nicotine or non-nicotine vaporized solutions. They are non–flammable products that utilize advanced micro-electronic technology, which provides aficionados a real “smoking” experience without the fire, flame, ash, stub or smell found in conventional cigarettes. With smokeless cigarettes, enjoying a puff or two has become a cosmopolitan luxury rather than a distasteful habit. These gizmos are fast gaining on global popularity because of the numerous benefits that they offer. Never heard even a single good thing about these babies? You’re sure to make the switch once you finish this post. A smokeless cigarette is just like the regular ones you can get easily get access to at your local convenience store, with the taste and feel undeniably the same as your favorite brand. It is a very viable alternative to the traditional cigarette, but unlike the latter, it doesn’t burn and therefore doesn’t create smoke. Despite the lack of smoke, however, the vapor it produces is still able to fully give users the bold flavor and sensation that inhaled tobacco smoke provides. Skeptics would generally argue that since smokeless cigarettes still deliver nicotine, then why should they be considered safer than traditional brands available nowadays? Well, this is where the similarities end and the extra brownie points for the smokeless varieties start to pile up. Safe for the budget. With the current costs of traditional cigarettes, an average smoker is most likely to spend more than $1500 annually just to regularly score refreshing puffs from his or her favorite brand. Smokeless cigarettes offer a low-cost solution by providing the same satisfaction for roughly a couple of bucks per cartridge refill. Plus, they feature a wide range of flavors and nicotine strengths to choose from. These include menthol, regular, cherry, apple, chocolate, banana, and strawberry, which are also available in zero, light, medium and full selections. 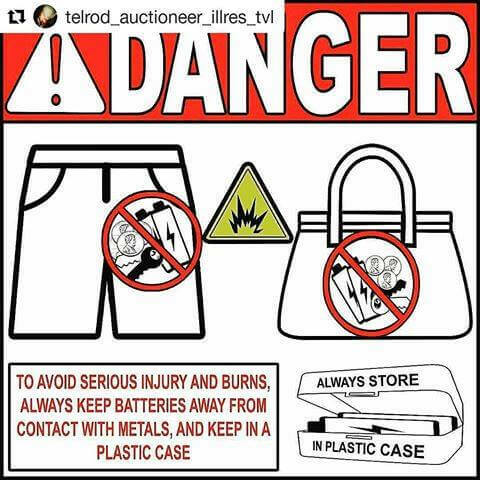 Safe to use anywhere. Ever been denied a cool nicotine fix just because you’re indoors? With these handy devices, you can have the privilege of smoking anywhere you want, anytime you want. You won’t even have to be cautious of smoking bans and similar prohibitions ever again. Craving for a puff while at work? Just reach for your smokeless cigarette and you’re definitely good to go even when you’re at the office, airport, a fancy restaurant or perhaps a library. How awesome is that? Safe from fire hazards. Say goodbye to ugly burn holes on your carpet, furniture, or car seats. No more messy ashes or poisonous residues to clean up, too. Since these devices don’t rely on flames to get down to business, you can even have a couple of drags in your bed or perhaps while taking care of your little one. Needless to say, you can’t ever do that with traditional cigarettes! How much nicotine is in electronic cigarettes (e-cigarettes)? Is there tobacco in electronic cigarettes (e-cigarettes)? Smokeless cigarettes have hit the stores now and many people are making the shift to these from normal cigarettes. These do contain nicotine and some people are questioning how much nicotine there is, and whether it is more or less than the original variety. Some research claims that the smokeless variety contain more and there is a school of thought that claims that very little nicotine is consumed by users. These devices first surfaced in China a number of years ago. It is only recently that American distributors have started to bring them into the country. Many of them are sold at mall kiosks and online. They do not contain any tobacco, however they do contain nicotine-infused water. The water is warmed up by a battery so that an odorless vapor is created. They are designed to simulate the experience of smoking while still letting users get their nicotine fix. Manufacturers see these as healthy alternatives to conventional cigarettes. The FDA considers these as devices designed to help people stop smoking. The amount of nicotine contained in the smokeless cigarettes varies according to the types of e-liquid ordered. There are options for people to order e-liquid that contains no nicotine, low, medium and high amounts. The range is from 0 mg all the way to 48 mg of nicotine. The latter strength is equivalent to super strong cigarettes in terms of nicotine strength. A regular pack of normal cigarettes contains about 24 mg of nicotine. When people refill their cartridges with e-liquid, it is wise to know the nicotine content. Three drops of this liquid in one go can equate to 3.6 mg of nicotine. People will get the sensation of consuming nicotine based on the density of the nicotine and the inhaling of the smoke among other factors. Good news for the health conscious smoker is that not all of the nicotine is absorbed by the smoker. It is estimated that only between 50 to eighty percent of the nicotine is consumed by users. This is based on each person’s personal smoking habit. Even though nicotine is reported to be addictive, there is no conclusive proof that it is a carcinogen. Nicotine is just what gets people attracted to smoking in the first place. People should exercise caution when using these if they are pregnant or have health problems such as heart disease. People who have these medical concerns should first consult with a doctor before using smokeless cigarettes. VG produces more vapor than PG, but the flavor is milder than PG because it is thicker to blend well with the flavor. For those who are allergic to PG, VG is an alternative. 4). Do VG and flavor together equal to e-juice? No, they don’t. If you just mix VG and flavor and drop to cartridge or cartomizers, there will be no vapor. They could not be vaporized without e-juice. 2). What is the function of PG in e-juice? 3). Do PG and flavor together equal to e-juice? No, they don’t. If you just mix PG and flavor and drop to cartridge or cartomizers, there will be no vapor. They could not be vaporized without e-juice. 4). Is PG safe, even for prolonged inhale? The use and effects of propylene glycol have been thoroughly researched. It has been used safely for more than 50 years, including adoption in health-sensitive applications such as food, cosmetics, and pharmaceuticals. Studies have proven that propylene glycol has a very low degree of toxicity. Prolonged contact with propylene glycol is essentially non-irritating to the skin. Some vapers may be allergic to PG. 60%/40% mix of VG and PG in your e-liquid can produce great vapor and more flavor. If you like, you can tend to use a mix of both PG and VG in particular ratios, such as 70%VG/30%PG. This is the optimum ratio for most each uses as it provides a nice throw hit, good flavor as well as tons of vapor production. Both VG and PG are used in a variety of foods that you consume on a daily basis and are deemed quite safe. However, in some small cases, people have experienced allergic reactions to propylene glycol, the most common is skin rash. However, this is not a big deal and there is nothing a little bit of skin moisturizer cannot solve.So which is better, VG or PG? The answer is “neither” – you will need both in most cases, to get the best of both worlds. Some prefer vaping 100%VG-only and some 100% PG-only liquids. How do you travel with a vape (electronic cigarettes)? 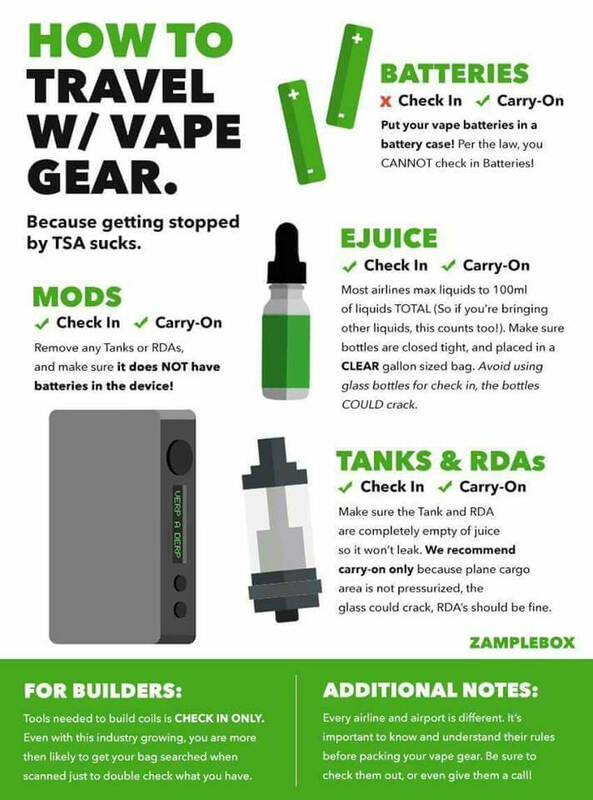 How do you store a vape battery safely?